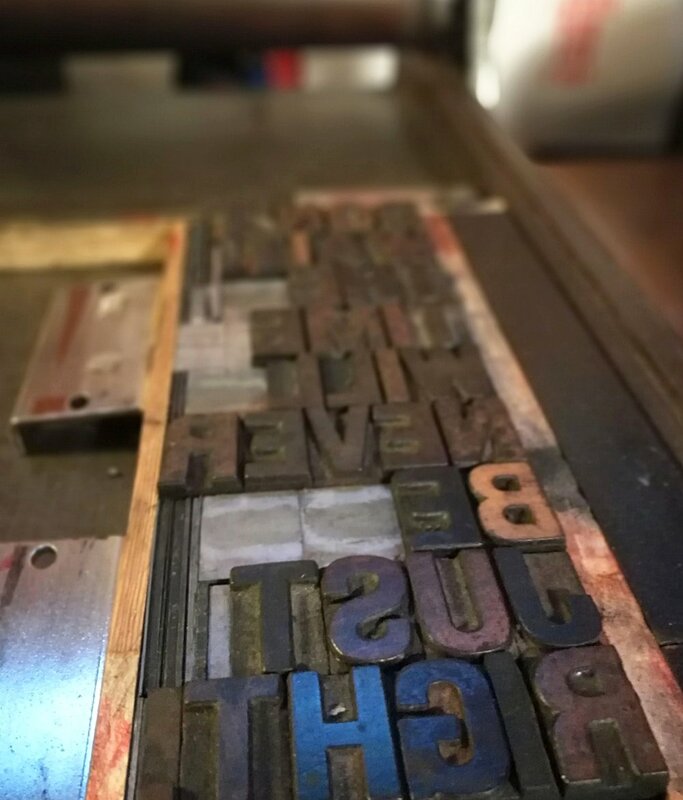 Spend a day printing the vintage way! 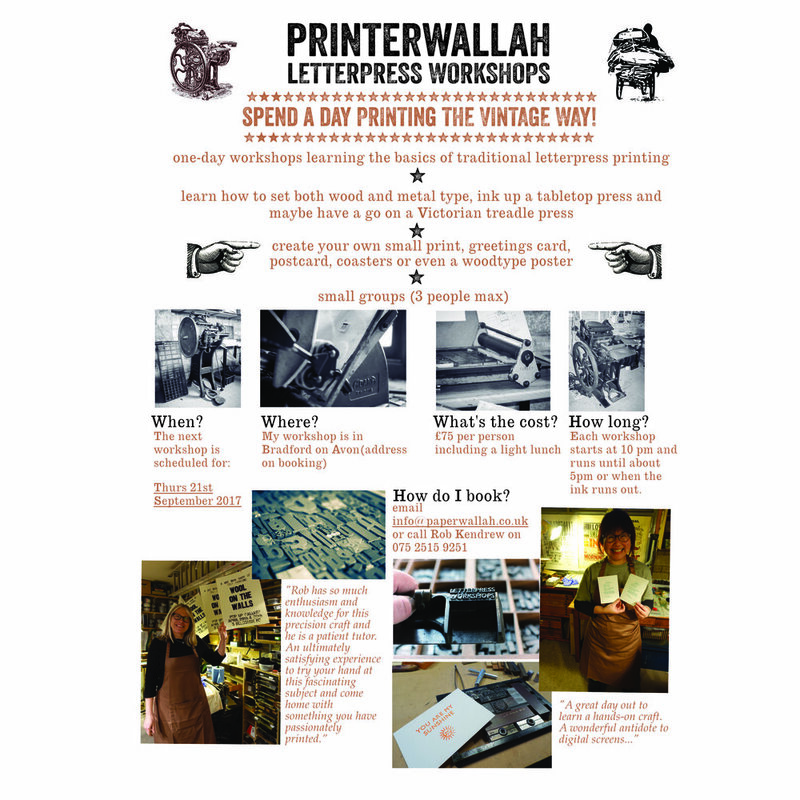 PRINTERWALLAH WORKSHOPS are one-day workshops where you can learn the basics of letterpress printing, get all hands-on and inky and experiment with a variety of old vintage printing machines. 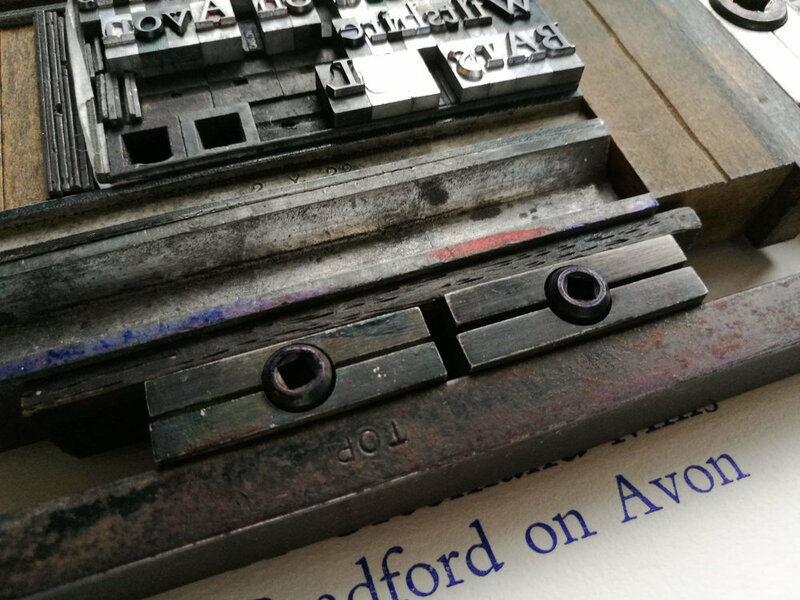 You can do as much or as little as you want and come home with anything from a large poster printed in woodtype to a set of small postcards or greetings cards or your favourite poem or saying printed by you to your specification. I aim to hold these on a monthly basis but can be flexible on dates. I can accommodate small groups of up to 3 people and we start at 9.30pm and go on until about 5.30pm which just about allows enough time for everyone to get through what they'd like to but I am happy if you'd like to pop back and print a few more copies or finish something really ambitious. I provide all materials and aprons etc plus a light lunch. My workshop is in the beautiful Wiltshire town of Bradford on Avon. The cost is £75.00 per person. Pey printed a poem she'd written. She tyeset it in 18pt Times Bold and printed it postcard size in green on the Adana 8x5. 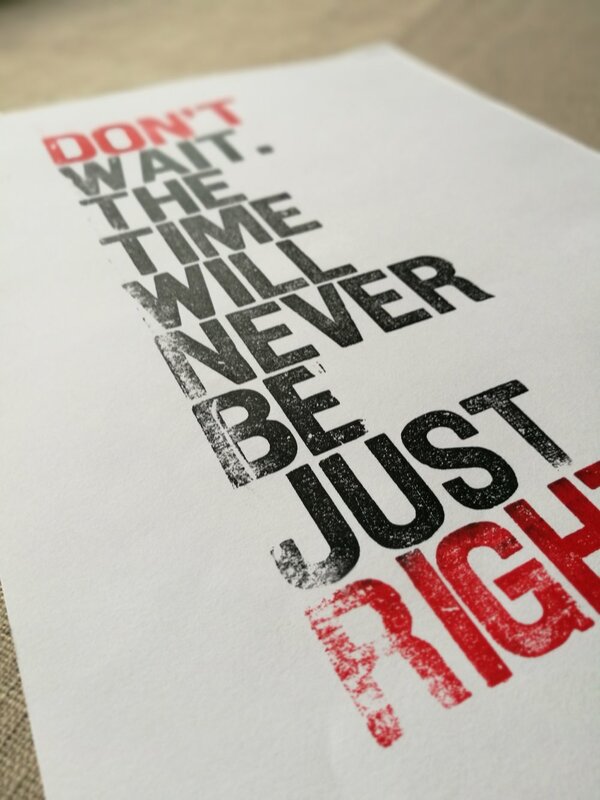 Paige used woodtype and two striking colours for a small inspirational poster to give out to her friends and family. Helen called on her sub-editing background and typeset one of her favourite quotations in double quick time in 18pt Gill Sans and printed these to send out as Christmas cards. Nicola typeset and printed a set of correspondence cards with her address on in 30pt Bembo metal type.